Want to Talk Back to Brian? 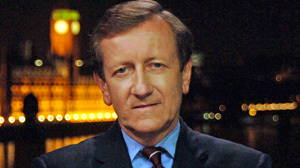 If you have an opinion about a Brian Ross broadcast, a Blotter story or any subject the ABC News investigative unit has covered, it's time to share your point of view with the public. Fill out the form below and hit "submit" and you'll have a chance to become part of an on-air interview with Brian. We look forward to hearing from you! Sorry, image upload is not available at this time. Sorry, video upload is not available at this time.